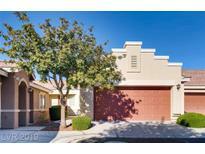 Below you can view all the townhouses for sale in the Cactus Hills Square subdivision located in Las Vegas Nevada. 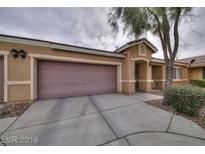 Listings in Cactus Hills Square are updated daily from data we receive from the Las Vegas multiple listing service. To learn more about any of these townhouses or to receive custom notifications when a new property is listed for sale in Cactus Hills Square, give us a call at 702-323-5933. Very well taken care of and clean! MLS#2089141. Realty ONE Group, Inc.
Beautiful One Story Town Home In Gated Community Near Southern Highlands*ceiling Fans And Upgraded Light Fixtures In Every Room*all Appliances Included*kitchen Has Walk In Pantry*covered Back Patio*fresh Paint*drapes Included*tesla Solar Panels Installed*attic Storage Area Above Garage*park Areas Located Within The Community* MLS#2088343. Las Vegas Lifestyle Properties. *meticulous gated community with 3 small parks*open great room floor plan w/vaulted ceilings*18" ceramic tile in all areas except bedrooms*stainless steel appliances, granite counters, large pantry*direct entry 2 car garage* MLS#2088715. Las Vegas Lifestyle Properties. If you haven't seen this one better get there fast as this one won't last! MLS#2078303. First Prime Realty Group. Don't miss out on the chance to call this place your home. MLS#2076831. Realty ONE Group, Inc.
HOA-maintained landscaping. Ready to move in! MLS#2071549. BHHS Nevada Properties. Front Landscaping Maintained By Hoa. Plenty Of Guest Parking. MLS#2053606. Realty ONE Group, Inc.